Amanda studied performing arts at the prestigious Academy of Live and Recorded Arts in London and began her career touring the country as principal actress with a children’s theatre company. After that she toured with Michelle Breeze as singer/dancer in her variety show and then left for the high seas to work for Celebrity Cruises and then the Italia Prima on a world cruise as a dancer/singer. 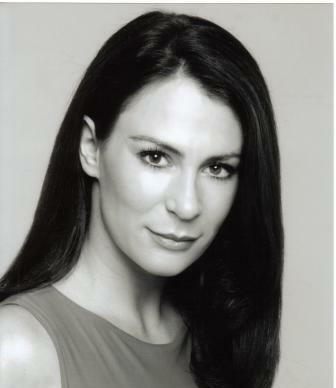 Amanda’s first West End credit was in Starlight Express in the principal role of Ashley at the Apollo Theatre. Her next role was in the original cast of Closer to Heaven, written by the Pet Shop Boys at the Arts Theatre where she also understudied the lead. She then appeared in the original cast of Jus like that at the Garrick Theatre with Jerome Flynn. Amanda also formed and runs Muse Artists, a succesful events company providing entertainment for prestigious events like film premieres, perfume launches and huge events at the National History Museum, Hampton Court, the Wallis Collection, Madame Tussauds, and supplied the entertainment for England’s biggest corporate Christmas party company. Now she runs her own school, All Stars Academy, and she has recently helped coach skaters for the London 2012 Olympic Opening Ceremony, in which she will also be performing. She does all this while also looking after her two children!